I love pesto. In the summertime, you’ll find multiple basil plants growing on my porch and cuttings on the window sill. However, recently I ran into a problem; I had a ton of fresh basil but no food processor. In this day and age, it is hard to not be reliant on technology that seemingly makes life a lot easier. 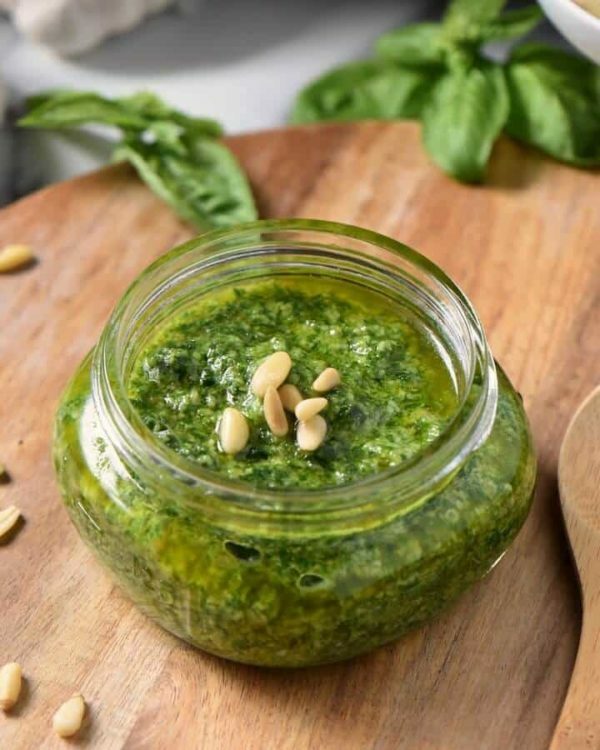 Let’s throw that to the side and use a little elbow grease to crank out some authentic pesto! 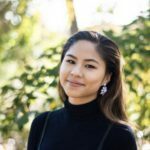 After almost resorting to using a coffee bean grinder for my gnocchi’s sauce, I improvised by using some common household items that you can definitely find in your kitchen cabinet. Here is a trick that gets you one step closer to being a little more self-sufficient. 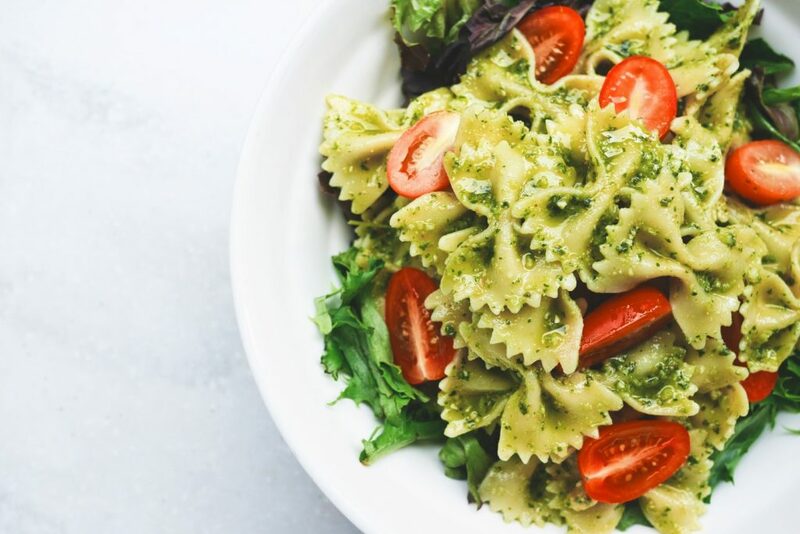 This hack is great because it can work with any pesto recipe you enjoy so there’s no need to throw aside that secret family recipe of yours. The key is to avoid creating a complete paste out of all of the ingredients, an inevitable result of using a food processor. Chopping the basil finely will still achieve that sauce texture while allowing each component to retain its identity. Off the bat, this method may seem out of the ordinary. It turns out that traditionally, Italian grandmothers are going to opt for a chopping block and knife instead of an electric outlet and blender. This allows for a greater flavor profile of ingredients across your dish. Be patient! This technique took me half an hour to get through all of the basil, but there is truly nothing like the reward of fresh pesto. And if that isn’t convincing enough, your whole kitchen will smell like summertime. 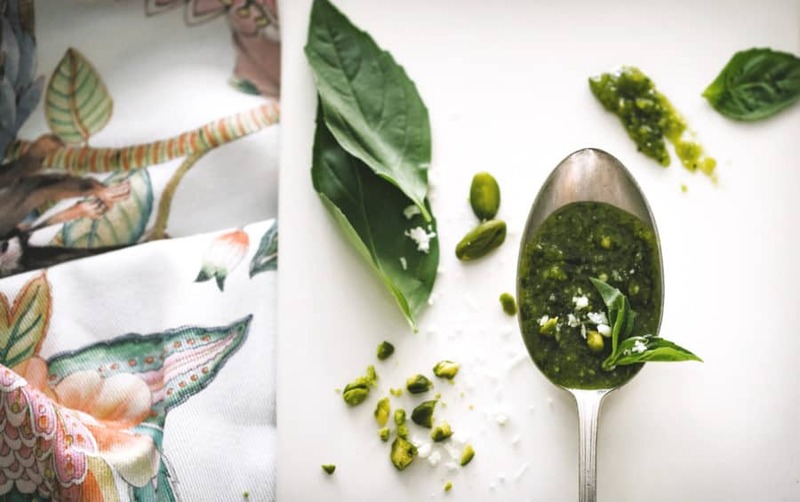 Have you ever made pesto without a food processor before? Let us know in the comments below! You can also tag us on Instagram at @georgiapellegrini, and be sure to follow us on Facebook! Separate basil leaves from stem and divide into four portions. 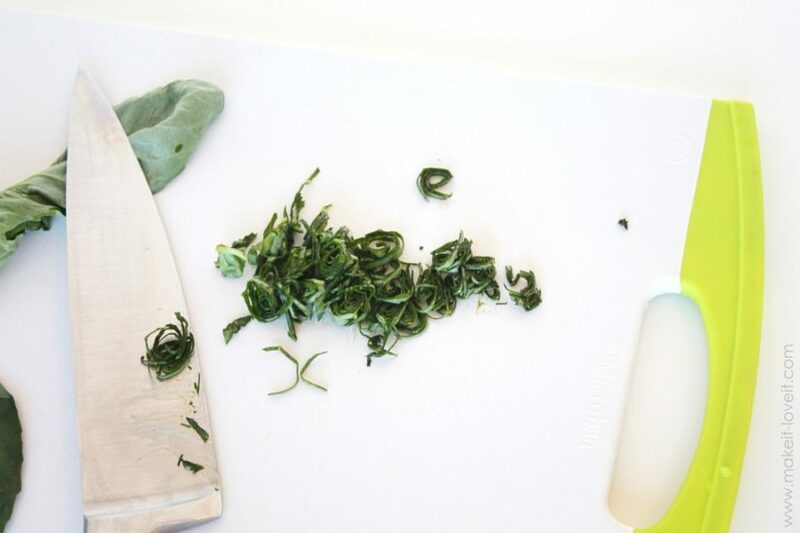 Use a sharp knife to chop the first portion of basil finely while incorporating the minced garlic. Add the next portion of basil leaves. Repeat until you have successfully chopped all ingredients finely. Combine all remaining ingredients into a ziplock bag, press all the air out and seal shut. 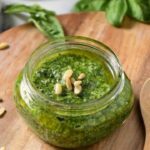 Continue to work the ingredients by rolling a mug or mason jar over the pesto to further crush the ingredients. Empty the contents into a bowl and serve or store in the refrigerator to let the flavors meld until serving. If you want to freeze the sauce for later, hold off on adding the olive oil and cheese until after you've defrosted. Adjust seasonings to taste, it will change as it sits and the flavors will develop.